Tour taj mahal, and see the beauty of one of the seven wonders of the world. TajMahal is the ultimate physical sign of love on earth. You need to see this marvelous white mausoleum to admire the beauty of this masterpiece. 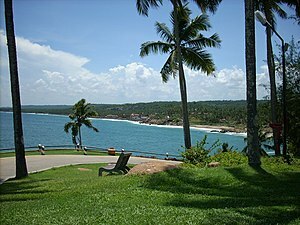 Kerala and Goa are two most important states which attracts millions of tourists every year; Other than Utter Pradesh where Taj Mahal is situated. India is a vast country and a very populous one with diverse culture , heritage and religion. There are many different languages in India. More than a dozen official languages are there! Around 30 states and a few Union territories are there in India. Many many religious and regional festivals make this country a unique one. It is a country with “Unity in Diversity”. The tag line of Indian tourism sector says “Incredible India”! I will write about places of interest, mainly tourist places in India, later on in my following posts. This entry was posted in Travel and tagged Delhi India, Kerala tourist places, Munnar Kerala India, north India tour package, south India tour package, tajmahal India, tour taj mahal by greatkerala. Bookmark the permalink.